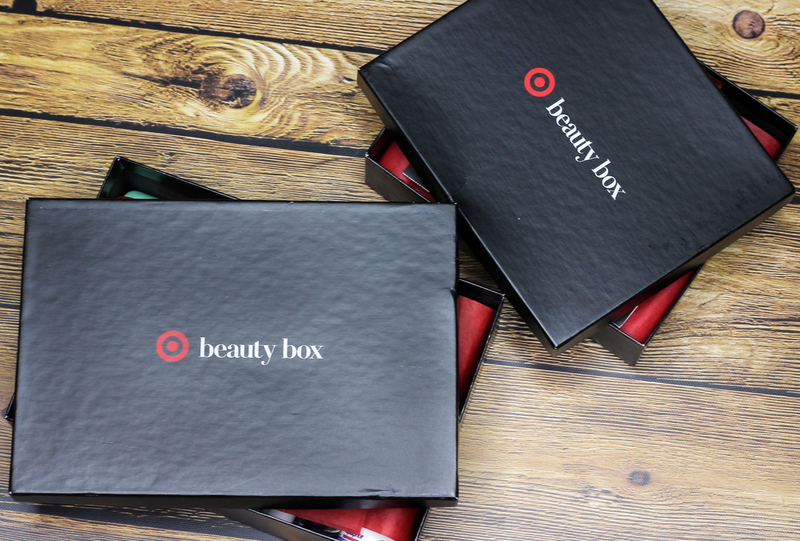 For this month, Target released two beauty box options ($7, each). Since both boxes carried a really good assortment of products, I had somewhat of a hard time choosing between the two. Ultimately, I decided to get them both! I am glad I did too because I was not disappointed. Tom's of Maine Peppermint Antiplaque & Whitening Toothpaste: This natural, fluoride-free toothpaste whitens teeth, while fighting tartar buildup and plaque. NYX Butter Lipstick: I love NYX lip colors, and this butter lipstick is no exception. It has a creamy formula that feels comfortable on lips, it offers great color payoff, and it imparts a shiny satin finish that I can't get enough of. I received the shade Moonlit Night, a sultry dark burgundy that I am looking forward to sporting this fall. Umberto Lifting Powder: This powder helps add volume, lift and texture to hair. It also tames frizz and absorbs excess moisture. Garnier Clearly Brighter Daily Moisturizer: I am really liking this moisturizer so far. It's comprised of an antioxidant rich formula that helps hydrate, tone, and brighten skin. It's oil free, lightweight, and contains an SPF of 15. Dove Regenerative Nourishment Shampoo & Conditioner: It has been awhile since I last used Dove hair products. I do remember having enjoyed them, though. The shampoo aims to replenish and strengthen strands while protecting against future breakage. The conditioner nourishes and repairs, for hair that looks and feels healthier. Sweet Spot On-The-Go Wipettes: These feminine wipes are paraben free, ph-balanced, and made with essential oils to help instantly refresh. Items like these always come in handy, and they are great to carry around in your handbag. Wet n' Wild Max Fantastic Mascara: I can't wait to try this mascara. It promises lots of volume, curl, and length. Sounds right up my alley! Derma e Firming DMAE Eye Lift: This eye cream helps firm skin, smooth lines, and boost collagens. It's enriched with antioxidants and peptides, and it's non-GMO and vegan. Acure Facial Cleansing Gel: I am a big fan of Acure's skincare products, so I am happy to have seen this cleanser included in the box. It helps remove dirt, oil, and impart a radiance on the skin. I love that this product is vegan, paraben and sulfate free. 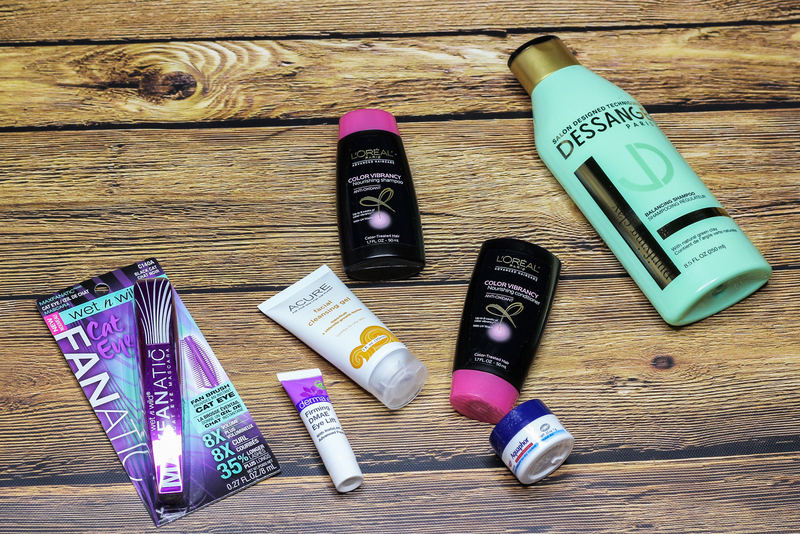 L'Oreal Color Vibrancy Shampoo & Conditioner: This duo is ideal for color-treated hair. It contains antioxidants that help nourish hair, as well as UV filters to protect color from fading. Color stays vibrant for up to 8 weeks! Aquaphor Healing Ointment: I used this multipurpose ointment loads throughout my pregnancy, when my skin was constantly dry and irritated. It moisturized and soothed like nobody's business. Love this stuff! Dessange Purifying Clay Shampoo: This shampoo contains natural green clay that helps purify, and nourish hair from roots to ends. 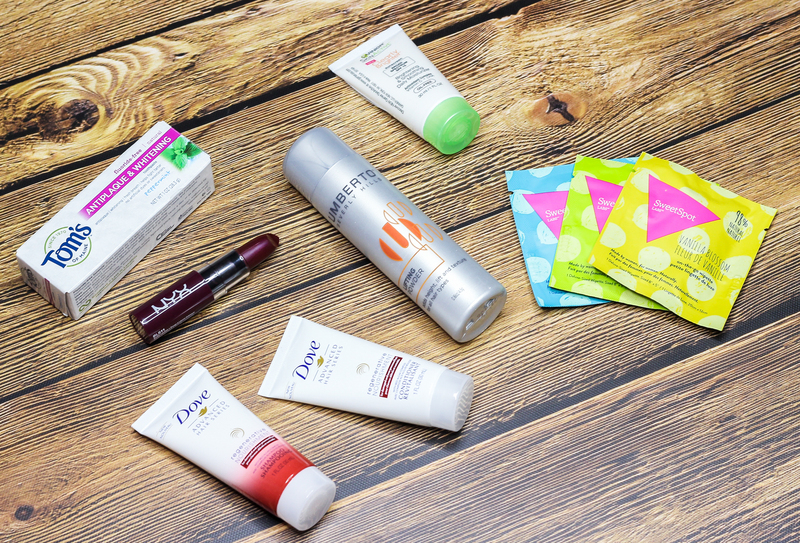 What did you all think of Target's July Beauty Boxes? Which one was your favorite?